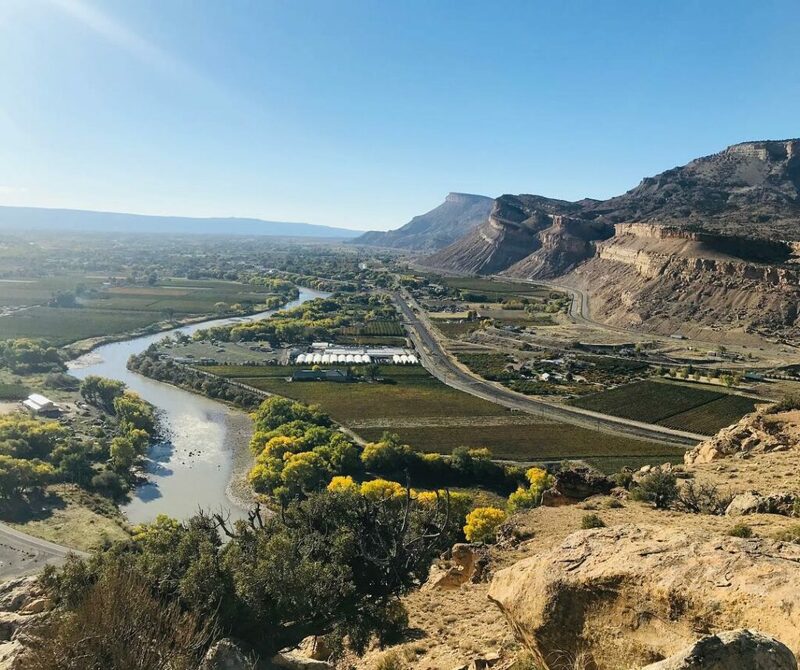 Twenty minutes east of Grand Junction, the small town of Palisade on Colorado’s Western Slope is best known for their fresh produce, local wineries, and scenic hiking/biking trails. The nearby Island Acres Campground in Colorado River State Park used to be the closest place for RVers in town until November 2017 when a 14-acre resort opened to the public only a mile from the historic downtown. 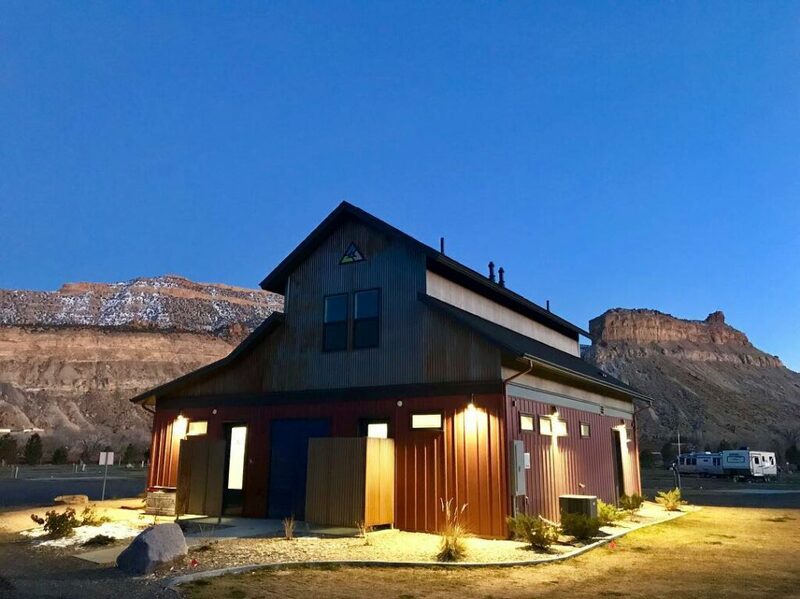 Located off Interstate 70 and Highway 6 along North River Road, Palisade Basecamp Resort has five types of camping accommodations surrounded by vineyards, orchards, the colorful Book Cliffs, and the banks of the Colorado River. The resort has a range of RV sites each strategically angled for shade, views, and easiest maneuverability. They vary in size, price, and location, with the premium pull-thrus having the most convenient access to the resort’s amenities, while the River Bluff back-ins have the best views overlooking the river and surrounding valley of fruit orchards. The pull-thrus can fit coaches and trailers up to 62 feet long, while smaller, cheaper sites are available for tents, vans, and motorcycles. They also have Vineyard Back-in sites and Overlook back-ins available; River Bluff and Overlook are the only two sites with full hookups during the winter season. Their cozy new cottages are equipped with electricity and WiFi and they’re a short walk from the bathhouse. For larger groups, their two Country Home Suites are fully furnished with private patios and sleep 4-10 people. Guests are welcome to use their pool, pet park, and modern bathhouses with restrooms. They have a new community shade and game shelter, a general store, and a playground for the kids. A dump station, propane filling station, and laundry facilities are also available on-site. The RV sites are set among a large peach orchard and a greenhouse with freshly grown fruits and vegetables. You can also get local produce from the downtown Sunday Farmers Market during the summer or from the many stands along the highway. August is peak season for the town’s signature peaches and is celebrated every year with their Palisade Peach Festival (Aug 15-18, 2019). 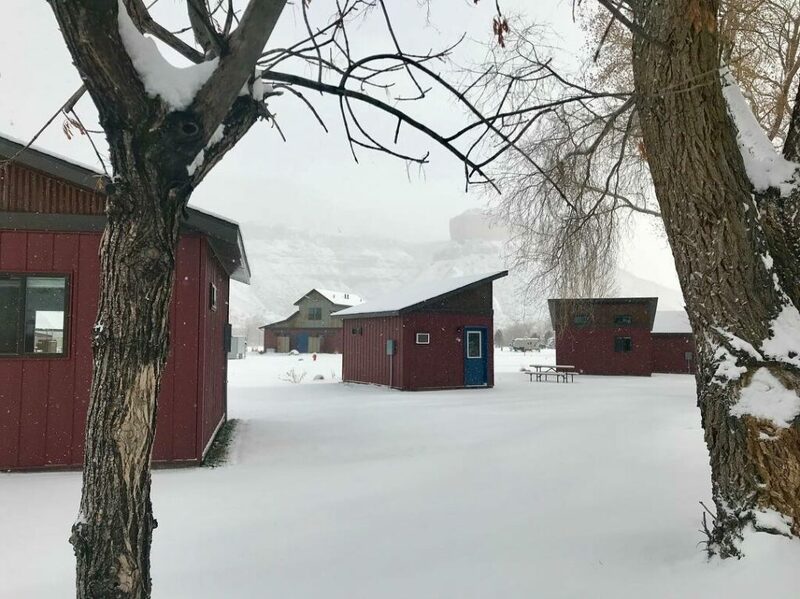 Palisade Basecamp is only steps from the river if you’re looking to go fishing, kayaking, or on a scenic rafting trip. They’re also close to miles of hiking and biking trails ranging in elevation and difficulty. Walk along the Riverfront Trail for an easy stroll, hike the moderate Palisade Rim Trail for views of Palisade and Mount Garfield, or climb the steep summit of Mount Garfield for sweeping views of the Grand Valley. While you’re in the heart of Colorado’s wine country, visit one of the 20+ local wineries, like Colterris Winery next door. Further away, you can also make a day trip to the Colorado National Monument and the Grand Mesa. Their rates vary depending on your site preference, weekend/weekday, and the season. During the winter, their RV sites are as low as $28/night and in the summer the premium spots are about $59 ($64 on weekends). They also have weekly and monthly rates available. You can learn more about their Winter Promotion here (through March 15, 2019) and get more information on their website. 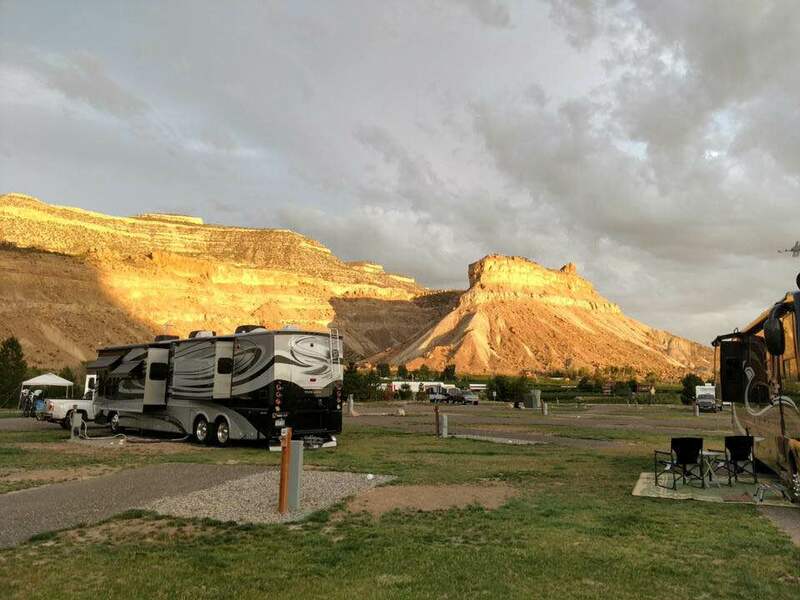 Share your experience at Palisade Basecamp Resort with us on Campground Reviews.